Is the Fed more bullish than the public? Dissent could be rising on the Federal Reserve's rate hike decisions. Fed officials debated whether it should increase key U.S. interest rates at its next meeting in April. 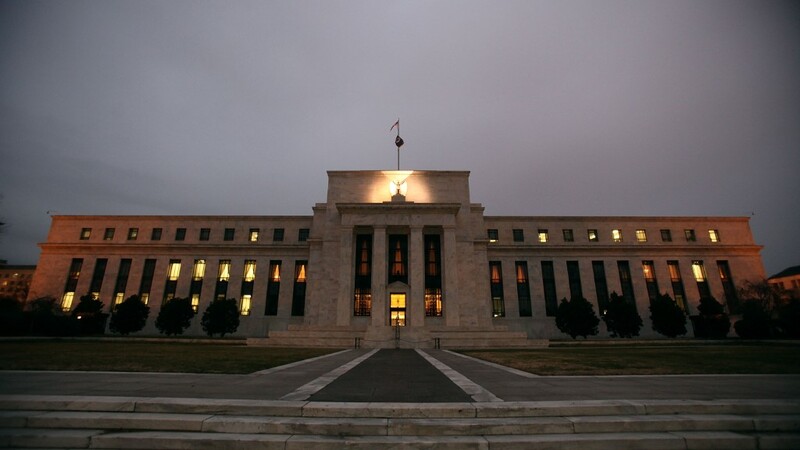 Some lobbied for it, even as most members of the Fed cautioned against an April rate hike. It's the latest sign that members of the Fed's committee aren't entirely on the same page. Those against a rate hike "noted their concern that raising the target range as soon as April would signal a sense of urgency they did not think appropriate," according to the Fed's March meeting minutes that were released Thursday. Translation: No rate hike in April. However, others felt that "an increase in the target range at the committee's next meeting might well be warranted" if the job market and inflation continue on the path they're currently on. Signs of divide at the Fed rose after the committee's March meeting were apparent soon after. The Fed had just cut its forecast for U.S. economic growth, inflation and the number of rate hikes in 2016 to two from four. However, in the days that followed Fed Presidents James Bullard and Patrick Harker argued that a case could be made for raising rates in April. Then Fed Chair Janet Yellen squashed that talk last week in a speech in New York. She said the Fed needs to proceed "cautiously." Her overall negative outlook on the global economy during the speech seemed to erase any chance of an April rate hike. Since the Fed began publishing minutes, decisions on interest rates have always gone with the Fed Chair's vote. The minutes released Wednesday appear to confirm that an April rate hike is off the table for now. The Fed's next meeting after April is in June, when investors believe there's a 23% chance of a rate hike, according to CME Group.